Coteau des Prairies Lodge is truly a one-of-a-kind getaway experience. Perched on the northernmost ridge of the Coteau des Prairies, where the breathtaking view is second to none, prairie farms and fields unfold from below like a patchwork quilt. You will find yourself at home at our rustic, yet refined lodge, constructed with native North Dakota pine. 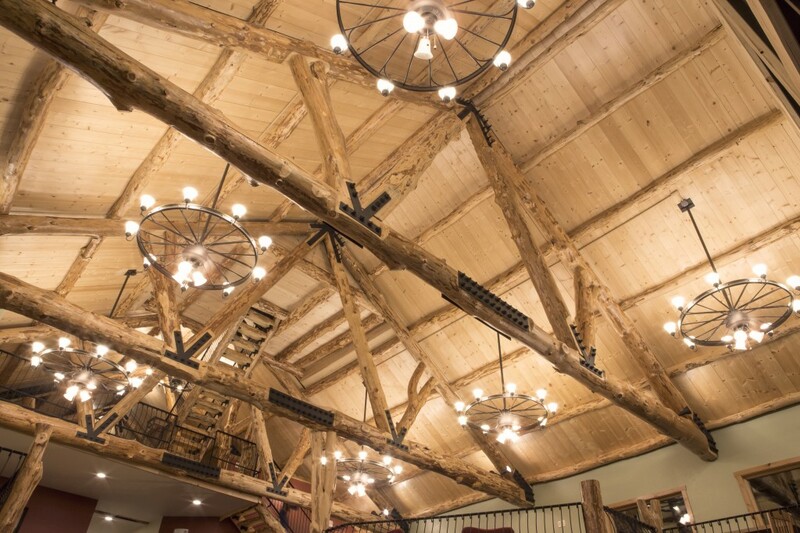 With custom log and steel architecture, you will be awed at every turn, from our magnificent great room to our signature lookout. In the pasture surrounding the lodge, where our cattle graze, you will find a new kind of relaxing vacation. Created and operated by a farming family, the lodge atmosphere embodies the legacy of the multi-generational farms from our area. From our warm country welcome and hearty homemade meals to our outdoor expeditions and hands-on farming fun, your rural experience comes alive! With 13 bedrooms, large open spaces and plenty to do, there is something here for everyone. Let your imagination run, and your spirit soar at Coteau des Prairies Lodge.